Helping parents and their children find fulfillment and achieve their highest potential is a great passion in her life. As a parenting expert and a businesswoman, she's helped thousands to develop solid family foundations, to overcome old family patterns and to access the joy in life. â€¨â€¨Chandra earned a bachelor's degree in psychology, with a focus on counseling, research and child development from Santa Clara University. She also completed much of the coursework for a counseling psychology and education master's degree. While still in her 20s, she became a successful businesswoman, founding Traveling Nannies, the first online nanny agency in the San Francisco Bay Area. At Traveling Nannies, she placed nannies around Silicon Valley and set standards for professional nanny salaries. A key ingredient to her Chandra's success has been conducting in-home interviews to carefully match nannies to suitible home environments. She was the first to use this pioneering approach and many agencies have since adopted her methods. She also dramatically expanded the menu of offerings beyond what most nanny agencies offer.â€¨â€¨ Throughout her many years of specialty nanny care, she personally provided a wide variety of services to families, from being a travel nanny to a household manager, from caring for preemie triplets to helping parents with special-needs children. As a household manager, Chandra oversaw the daily household operations of many families, maintaining their family calendar, supervising teams of nannies, cleaners, landscapers, maintenance people and contractors. She prepared all-organic menus, cooked macrobiotic and raw food, organized closets, attics, garages, sheds, cabinets and children's clothes for size and season. She has worked with high-needs children, helping their parents with discipline, behavior modification, brain nutrition, exercise and diet and learning disabilities. Her specialty is newborn development with an emphasis on the interval between birth and three years of age. Dawn comes by her knack for childcare naturally. Growing up in Maine, she was one of seven children, raised by an amazing mother. With infinite patience and calm, Dawn's mother taught her how to handle everything from potty training to sibling rivalry. Realizing that she loved to be around kids, Dawn found early work experience caring for children, first becoming the neighborhood babysitter, then a dance instructor, a camp counselor and a soccer coach. Dawn reinforced her work experience with formal education at the University of Southern Maine, where she studied Sociology and Elementary Education. 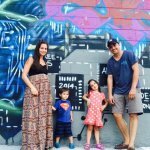 Her professional experience as a nanny has been rewarding and varied, with experience as a live-in nanny, a weekend nanny and primarily as a full-time nanny for a high-profile family in Manhattan. With more than a decade of experience, Dawn is now considered one of the most sought after nannies in New York City. As an agency owner, Dawn brings to A Nanny Solution a professional knowledge that comes from a depth of experience, natural talent and most importantly, being a mother herself. Dawn knows that finding the perfect nanny for one's family is among the most important decisions a family can make. She truly desires to help families and nannies find the perfect match with A Nanny Solution.